I just got back from a short New Year’s trip here in Japan and I wanted to check the NCAA football scores, forgetting as I did that most of the traditional New Years games are now played several days to a full week and a half after January 1st. Alas. All for Television of course. Among the college football headlines today I could not help but see that Joe Paterno is planning on coming back for his 46th season at Penn State. Although I think Paterno has long outlived his effectiveness as a head coach, I think it is wonderful that he still wants to coach and that Penn State continues to support him in this role. To give you an idea of how long Paterno has been at the helm at Penn State consider that when he took over the head coaching job of the Nittany Lions LBJ was president, President Obama was five years old, and the Super Bowl was not even part of the American lexicon. 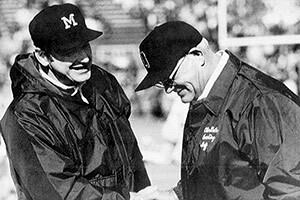 In these days of a win–at–all costs mentality in college sports, when head football coaches are routinely lured away from very lucrative professional contracts, that a major program like Penn State would choose to employ an 84 year old coach speaks volumes about their loyalty and integrity. Can you see this happening at USC or Ohio State ? 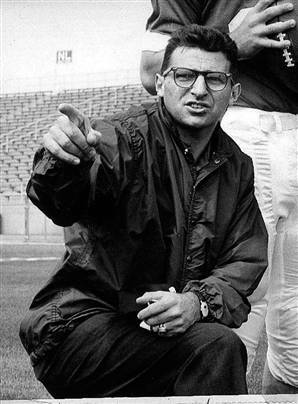 Anyway, I am looking forward to seeing Joe Paterno on the sidelines again next year. If for nothing else Joe Paterno gives us occasion to recall what was once a better time in college football.